Dave describes himself as the Energizer Bunny. “I go to sleep at midnight, wake up at 5am, and leave the house by 6:30am,” he says. 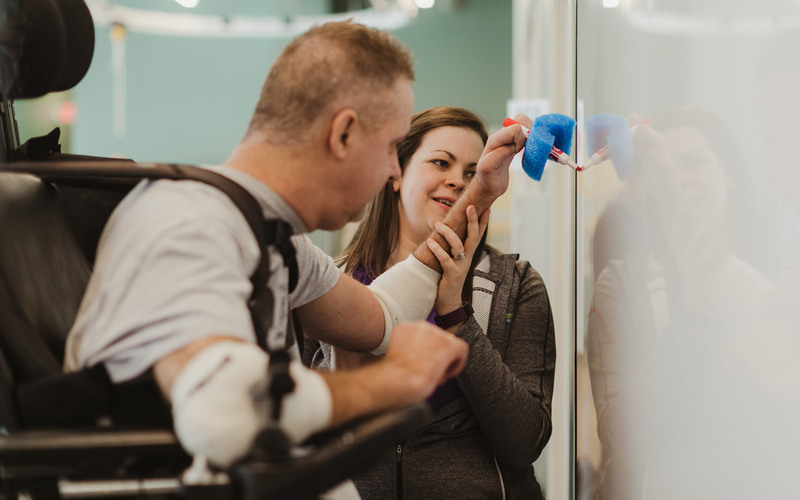 “I do physical therapy, massage therapy, occupational therapy, and speech therapy three times per week.” On the days Dave doesn’t drive 1.5 hours to and from Life Beyond Barriers Rehabilitation Group, he’s at the automotive plant where he works as a contract engineer—working hard and offering ideas on how to save costs. 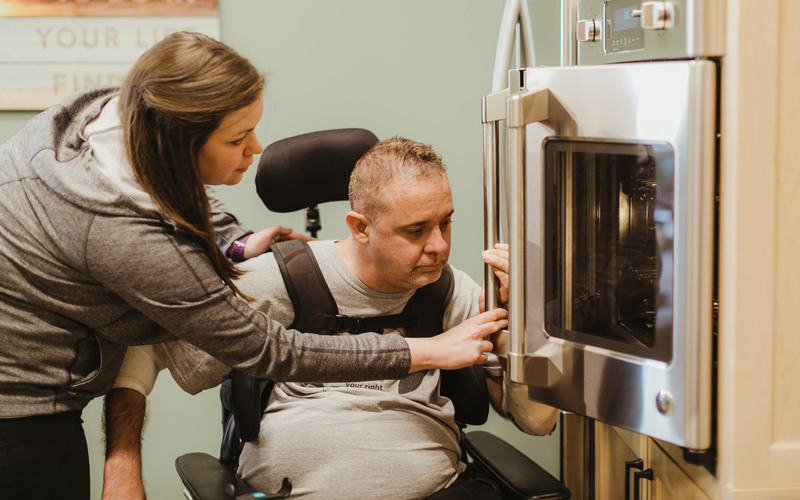 Stereotypically a person diagnosed with quadriplegia is not this active , but Dave’s drive is on another level. Being his active, busy self, Dave was unsatisfied with routine, low-energy therapy. He craved something more dynamic, where people drove him and pushed him harder. 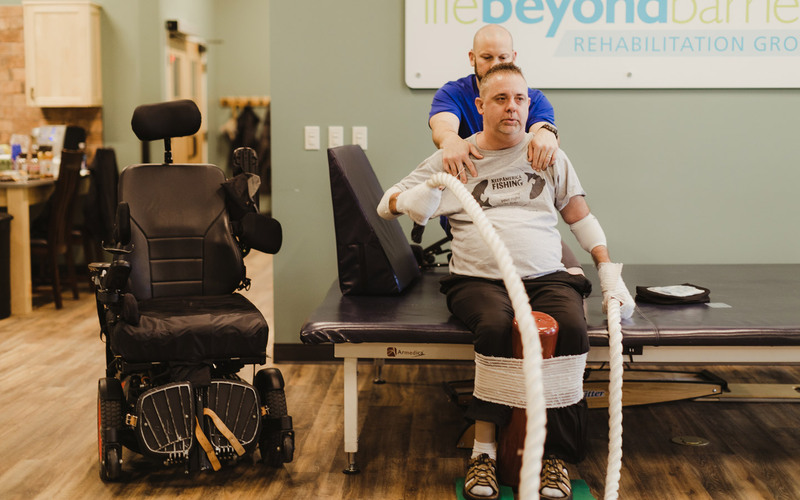 After spending what felt like a lifetime at another therapy center, Dave found his way to Life Beyond Barriers Rehabilitation Group. Immediately, he was moved by the place’s passion, conviction, and culture. “This place pushes you hard. 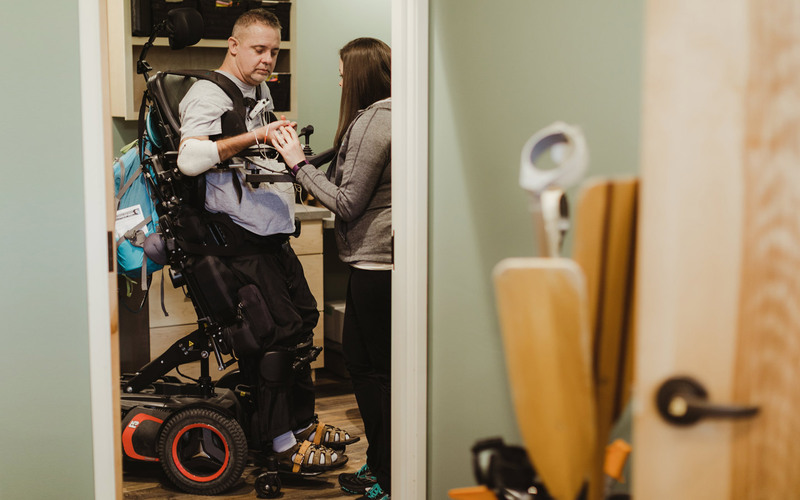 They drive you and make working out fun,” Dave says.